Monitor various aspects of the current effective loading of their systems easily and quickly. Is there a better alternative to Performance Probe? Is Performance Probe really the best app in System category? 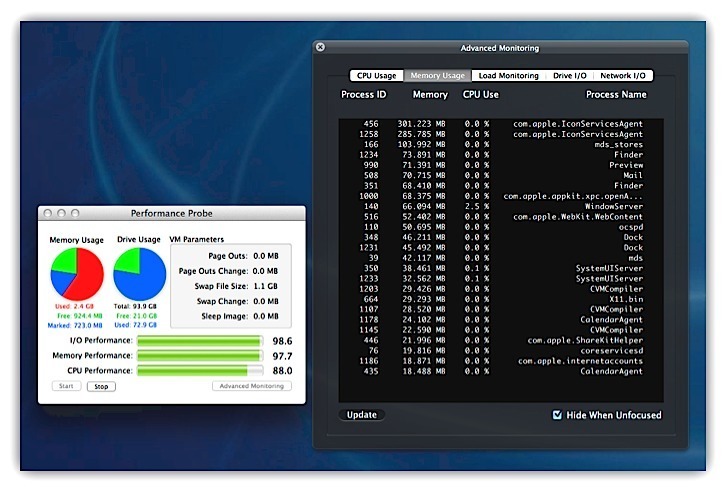 Will Performance Probe work good on macOS 10.13.4? 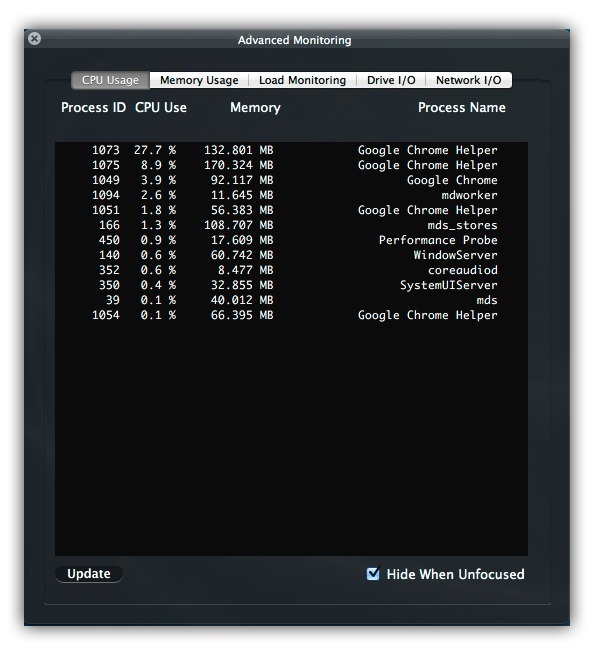 Performance Probe can now be used with OS X 10.11 El Capitan with rootless mode enabled or disabled. Performance Probe needs a review. Be the first to review this app and get the discussion started! Performance Probe needs a rating. Be the first to rate this app and get the discussion started! 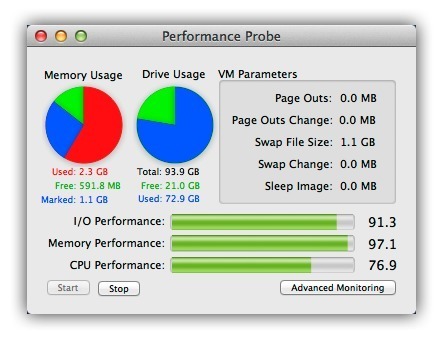 Performance Probe is an operating system tool that allows users to monitor the overall effective loading of their systems while in use. In addition to the dynamic monitoring of system memory, drive space, it includes a heads up display window that can be hidden or kept on screen as the user sees fit. The heads up display, or HUD, can display user configurable load monitoring, provide configurable graphing of mass storage activity and network activity, and provide quick snapshots of the systems highest CPU and memory consumers. The load monitoring and filtering will allow a user to identify which processes (applications) are using the highest level of system resources over time without the "jumping around" that one sees when trying to monitor system loading with Activity Monitor.